Rain chains are used in place of traditional downspouts to direct water runoff from a home or building to another location and reduce soil erosion. 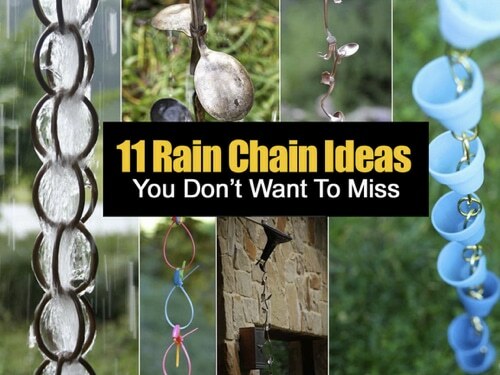 Rain chains can vary from ordinary to extraordinary in design, and can be made from new and even upcycled items. They also are an excellent way to lead waterflow into a water catchment systems.